Chamomile has been used for centuries to treat a variety of ailments. It’s probably best known as chamomile tea, which is great for calming an upset stomach or helping for sleep. But there’s a lot more to chamomile than you’re probably aware. Chamomile is a herb that originates from a blooming plant in the daisy family. 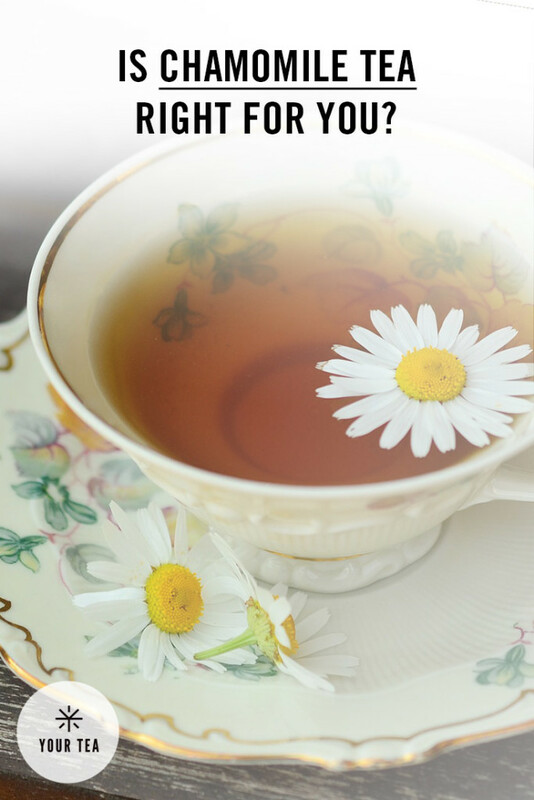 Both new and dried blossoms can be used in chamomile tea, and can work on a variety of wellbeing issues. The key oil in chamomile that makes a difference is known as bisabolol, which has various calming and microbial properties. The flower resembles a daisy with white petal and yellow circle florets. Heat up 10 ounces of water. Measure 2 tablespoons of dried chamomile or 4 tablespoons of crisp chamomile for every 10 ounces of water. Make sure you pack the chamomile into the measuring spoon. Once the water comes to a boil, pour it into a teapot and then place the chamomile blossoms into the water and allow the tea to steep for five minutes. Using a strainer, pour the water into your mug and enjoy. There are a multitude of benefits to chamomile tea. Beyond its wonderful aroma, chamomile tea offers many medical and beauty advantages. Soothes Your Stomach: Chamomile is wonderful at soothing an upset stomach. It can even relax your muscles and help with poor digestion and if you’re suffering from IBS. 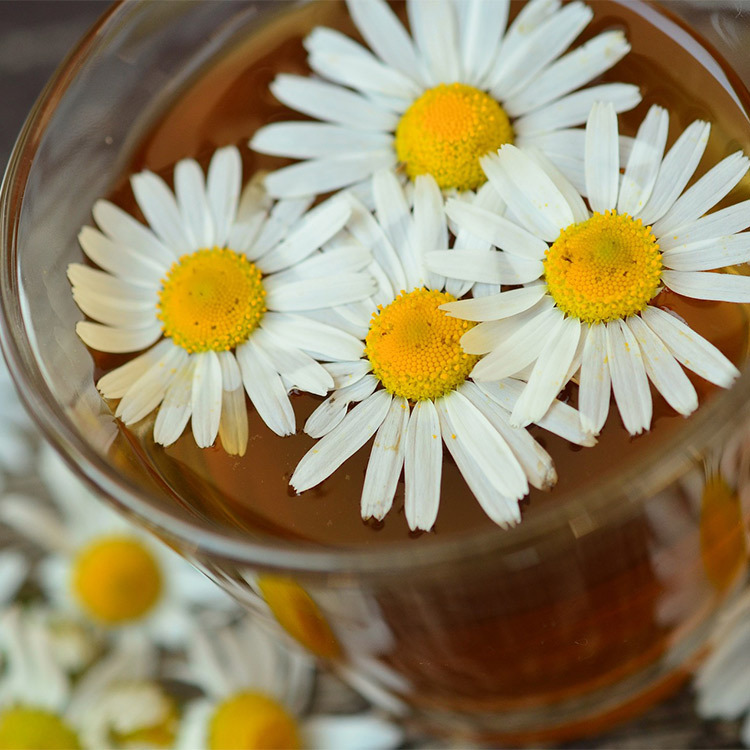 Treats Wounds: The Greeks, Romans, and Egyptians used Chamomile tea as a salve for wounds to help expedite healing. A recent study found that rats given chamomile-flavored water healed faster. Antibacterial: Drinking chamomile tea can help to prevent and treat colds while protecting against bacterial-related illnesses and infections. 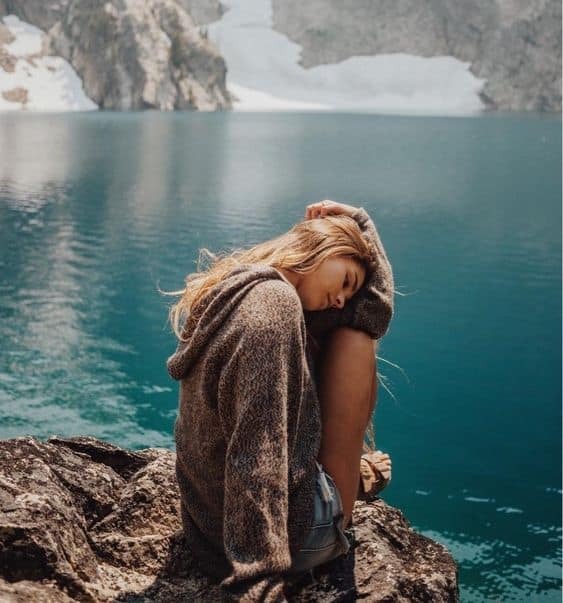 Promotes Healthy Skin: Since chamomile is both anti-inflammatory and anti-septic, it helps to clear up skin irritations such as eczema, acne, and allergies. Cancer Fighting: Research into chamomile’s effect on cancer is still ongoing, but studies have found that it can help reduce cancerous cells. Our Hangover Tea contains soothing chamomile to help you bounce back quickly after a night on the town. Hangover's are fun... said no one ever. Because we believe in living your life responsibly and freely - we created Hangover Tea. We're not saying it's magic, but we are saying it's a welcomed cuppa for calming those post party woes.